King David was not just a King after God's own heart, he was also a man after God's own heart. The book of Psalms is a great evidence to this. The book of Psalms is the only book in the Bible with the most chapters. There are 150 chapters in the book of Psalms and these chapters were all King David's words to God. Some were words of prayers to God while others were words of praises to God. 1 Samuel 23:11-12 ... ''Will the men of Keilah surrender me into his hand? Will Saul come down just as Your servant has heard? O LORD God of Israel, I pray, tell Your servant." And the LORD said, "He will come down." 12 Then David said, "Will the men of Keilah surrender me and my men into the hand of Saul?" And the LORD said, "They will surrender you." This was David asking God/obtaining information from God when he was about to go into a particular city and at that moment, King Saul was seeking to kill David (King David was yet to be crowned King then though he had already been anointed to be King). Do you know why the above verse is intriguing? Let's go through it together. Look at verse 11, after David asked God all the questions he wanted to ask God, God only answered the second one or answered the second question first. If it was someone who wasn't paying attention, he would have not noticed or he won't have bothered asking again. But David asked God the first question again, and God answered. If you read the chapter further, he will see God directing David on what to do. This could only have happened if one has a personal relationship with God. The relationship David had with God is mind-blowing, I must say. 1 Samuel 30:7-8 ''7 Then David said to Abiathar the priest, the son of Ahimelech, "Please bring me the ephod." So Abiathar brought the ephod to David. 8 David inquired of the LORD, saying, "Shall I pursue this band? Shall I overtake them?" And He said to him, "Pursue, for you will surely overtake them, and you will surely rescue all." This happens to be another interesting verses of David and God's relationship. This was when the Amalekites invaded the place where David and his people (thousands of people) were staying at the time. David and the men were not around when the invasion happened and King David was yet to be crowned King then. The Amalekities took their women and children and the men wept and wanted to stone David. David did not know what to do but he later encouraged himself in the Lord (verse 6) and he inquired of the Lord what to do. It is interesting how God answered David. God answered David what he asked of Him (God) and what he did not ask of Him. David asked ''should I pursue them and will I overtake them? God answered David ''pursue for you will overtake them and surely rescue (in some Bibles, recover) all. Interesting right? God measured the works of all the kings that ruled after King David by the life of King David. God judged all the kings after David by the lifestyle of King David. Anyone who did not measure up to King David to God has failed. Why is that? 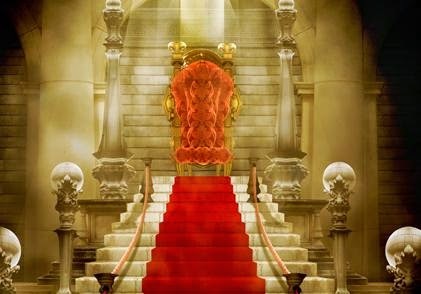 God always told the kings that came after king David including King Solomon, King David 's son that if they ‎will keep His commandments and follow Him (God) with all of their hearts and do that which was only right in God 's eyes like King David did, then He will bless them and be with them always. That's was indeed a great honour, for God to judge people's performance as kings based on ‎the performance of one man ( King David). It is even a greater honour for God to say that King David was a man after his own heart. King David of course sinned before God cos no man on earth is without sin. But the interesting thing about King David that distinguished him from other kings or others in general is that whenever he sinned, he realises his sin, he repents of his sin, he asks God for forgiveness and never goes back to that sin again. Like King David doesn't repeat the same sin twice. Once he has repented of a particular sin, he never goes back to that sin again. WOW!!! This indeed is a big deal, isn't it? It surely is. No wonder God told said that King David is a man after His own heart. Will it not be nice for God to tell those that cares to listen that you are a man/woman/boy/girl after His own heart? It will not just be nice, it will also be mind-blowing and honourable right? The grace to honour God the way King David did is what we should daily keep asking God for. May the good Lord give us the grace to be a man/woman/boy/girl after His own heart. Thank you dear Anonymous for your kind words. I am also thankful for your cousin who referred you to this blog. I am glad you were inspired by this post.